Every month around the day of VIX expiration, I make forecasts for the following month. Here is a link to Google Docs spreadsheet with all the forecasts I made. 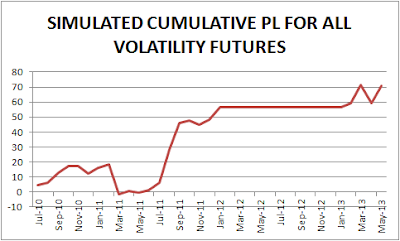 You can see what forecasts I made, when I was more accurate than the market, and when the market was better. I will be updating the spreadsheet as new data becomes available. For personal reasons I was not running forecasts for most of 2012. 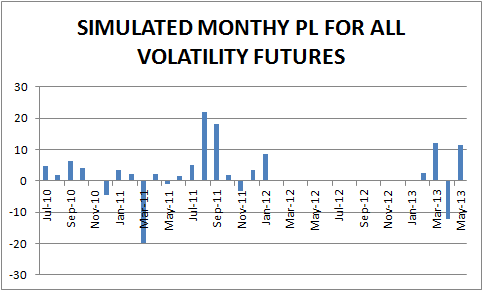 Please note that while I use same forecasts for my own trading I do not recommend that you trade futures outright. This is purely a demonstration of my model's forecasting ability.